Newlands Furniture Service is also of great benefit to the environment. We report to Bradford Council’s Landfill department each month on our environmental benefit to the local community. Updating them on the amount of furniture and household items that have been recycled, preventing them from going into landfill. 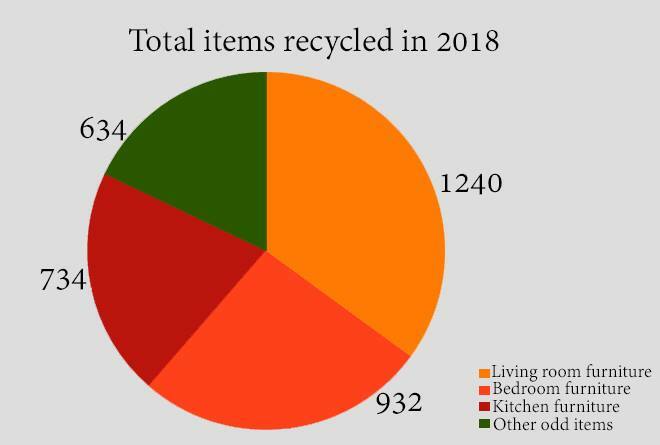 The Service prevents over 100 Tonnes of furniture from going into landfill each year, here are our 2018 figures. With the new community outlet at Five Lane Ends which has resulted in more users accessing the service and the Food hub at York House, we are set to increase these figures in 2019.